"What else should I do to get you to clean up your city?" Prime Minister Volodymyr Groysman was outraged at the accusations of Lviv Mayor Andriy Sadovy who blamed the government of the garbage crisis in the city. "Sadovy has been mayor for eleven years now, he could have built 15 garbage dumps and processing plants over that time, having billions of hryvnias in the city coffers. He just seem to be incapable of doing it, probably, or is unwilling," Groysman in response the banner that appeared at the Lviv City Hall last night. The prime minister believes he has done everything he could to resolve the garbage crisis. "I helped him once, helped him another time, and again. [Mayors] already refuse me because they do not want garbage to be taken to their territories for months," Groysman said. "You have the money on the accounts. 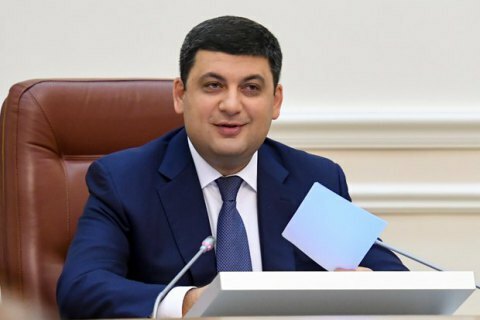 What else should I do to get you to clean up your city?," Groysman asked. Lviv for almost a year has been experiencing a major garbage removal problem after the municipal dump was closed following a ruinous fire. Lviv has been taking its waste to landfills in other regions across the country ever since. On 21 April, Lviv and the Cabinet signed a garbage memorandum with 20 cities of the region allowing Lviv to take its household waste to these cities for another two years. On 9 June, Sadovy announced that Lviv had been deceived and the garbage deal was being sabotaged, of which he blamed the Cabinet and President Petro Poroshenko.